Actor Varun Dhawan, who starred in the remake of Salman Khan starrer Judwaa, says the superstar is the best and the most helpful human being.Varun on Monday treated his fans to a question and answer session, where a user asked him to describe Salman. 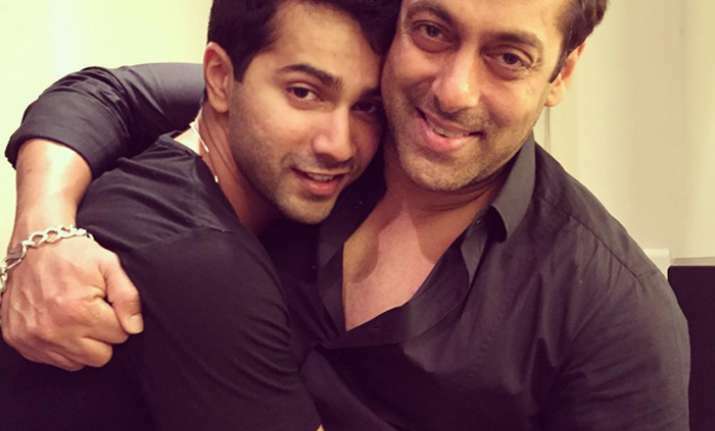 “Bhai (Salman) is the best and most helpful human being,” Varun said. “Trust me I’m still me. I just won’t limit myself just because some people think that I can only do certain type of cinema,” commented the actor, who has featured in films like Student of the Year, Badlapur and Badrinath Ki Dulhania.